Kids everywhere are becoming self-made tycoons-RollerCoaster Tycoons, that is! In this popular computer game, players make both business and creative decisions with one goal in mind: create the best amusement park ever! 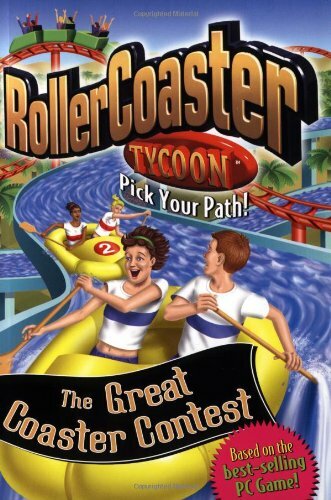 The choose-your-own-adventure format of the RollerCoaster Tycoon Pick Your Path! books puts the reader in total control. And with fun characters and unique scenarios, each book captures all of the thrill and excitement of being in an actual amusement park. One cool theme park, one amazing contest, and three competing teams who are definitely playing to win. Which one will have what it takes to walk away the winner? It's totally up to you!